Graded NM/MT+ 8.5 by SGC. 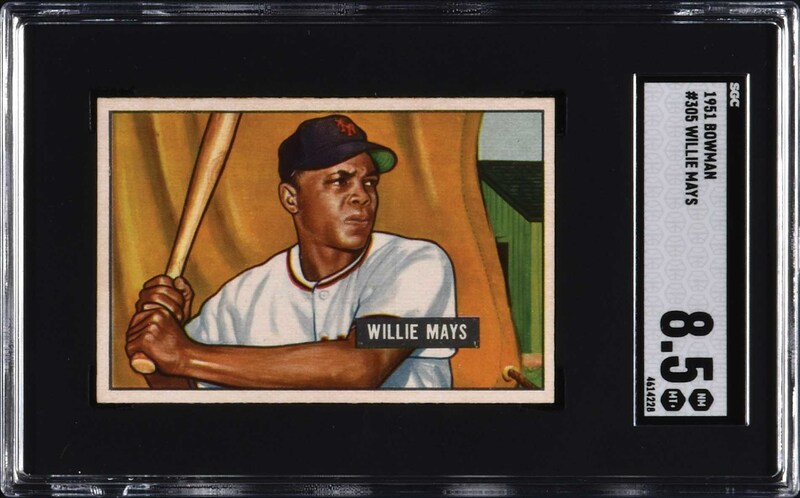 Extraordinary super high-grade example of one of card collecting's greatest classics, and Willie Mays' first and true rookie card. The 1951 Bowman of Willie Mays has long been firmly established as one of the most famous and desirable of all baseball cards. 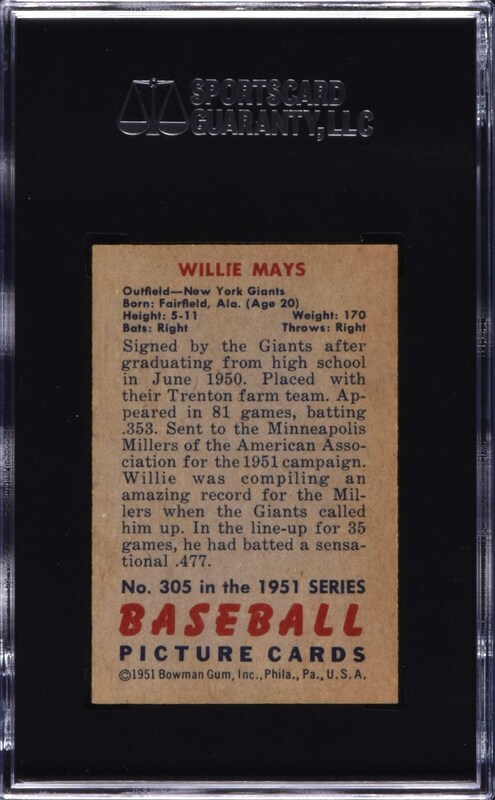 In addition to being one of the two key cards of the 1951 Bowman set, Mays is also part of the scarce high-number series of the set (#253-324). This is a magnificent card. The offered example is perfectly crisp and clean, with four sharp corners, exceptional printing registration, and near-perfect centering. This reverse is perfectly crisp and clean, without even the slightest trace of the gum or wax staining that so frequently affects 1951 Bowmans. No 1951 Bowman Mays has ever been graded GEM MINT 98 by SGC, and only one example has ever graded MINT 96. This is a world-class, high-grade example of Willie Mays' rookie card worthy of even the most advanced collection! Reserve $10,000. Estimate (open).